People don’t do what we hope they would do. They don’t even follow what we ask them to do. Thankfully there is still something that listens and responds to us just the way we want it to. And that is the Amazon Alexa. If you are still new to it then let us tell you that it is basically a virtual assistant. From the house of Amazon, it has been around long enough to create its very own loyal clientele. And it is constantly growing. It can all be credited to the simplicity and the ease of access that it offers with everything else in our universe. You must have heard about t in the recent home reviews. Or, you might be one of its fans that cant seems to stop making it more and more connected to every other thing in their life. 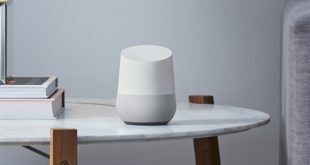 Once you get used to that voice-enabled comfort, it is a bit hard to step back. And going by the current reports, you don’t even need to. Amazon Alexa: The Next Best Thing? 0.1 Amazon Alexa: The Next Best Thing? 1 How does Alexa work? Smart Home automation has just come out of infancy. It has been a couple of decades but this field has actually become mainstream in the last couple of years. So people are still skeptical about making the smart home network a thing in their neighborhood. But that is not the case everywhere. In most of the European and North American countries, it is already getting a good momentum. And that is why the fate of Amazon Alexa is not as uncertain as we would otherwise believe, basically those people who have not used it much until now. But they can always start. You can begin with this article and get to know a bit better about the world of Alexa. Figure out if it really suits your daily life requirements or just makes it more complicated. Or, if you have a better alternative to it? Read on to explore, compare and finally make your decision. It is quite simple and easy to understand the basic functioning of Alexa. You will start using the various acceptable commands in no time with utmost ease. And soon a good portion of your time-consuming task load will be cut in less than half as you incorporate it more and more in your daily life. Though, it is usually receptive to your commands. But, it is only after you say ‘Alexa’ that it pays you immediate attention and pulls up all the relevant data to your current queries. You can say that ‘Alexa’ is the wake word for this virtual assistant. You can always make the experience more suitable for you. So, if you want to change the wake word to anything else, you can also do so. The reason for that can be anything or you just feel like mixing things a bit. You can set the new name as ‘Amazon, Echo, Computer’ or any other decent options. 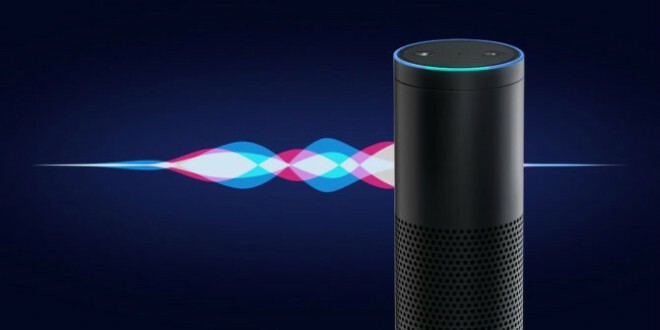 The virtual assistant Alexa works out of the Amazon Echo or other supported devices. Most of the time, you will find a small computer, a few speakers, and a microphone on it. This arrangement helps the device to record and analyze your voice to give back a suitable answer. This small computer inside the Amazon Echo performs a variety of basic tasks. It also makes sure to record all of your intended commands. Then send it to the Amazon cloud service and get the appropriate response back on time. The Alexa Voice Services (AVS) is the one that performs the key function here. So, it basically takes your instructions. Converts them into accurate and acceptable commands and finally interpret it to perform the required function in the desired manner. It is a programmable service that can be used to perform a variety of complex tasks in association with other online services. The Amazon cloud service can work with a variety of different technologies. And that is why you can use Alexa to control and monitor a variety of different functions. Its constantly evolving technology center makes sure that it is compatible with all the latest in-demand smart home technologies. This is how you are able to hail a cab, order your favorite food and make all the necessary changes to your smart home network without even lifting a finger. You ask Alexa to dim down the lights a bit. That command reaches the Echo. And it instructs the smart lighting system at your home to lower its intensity. You want your favorite food delivered at your doorstep. And you get it just in time with Alexa. But how? Well, Alexa asks Echo which then instructs the Food delivery online service to make the delivery at the desired time and place. It is a lot more complicated under the surface. But this is all that we need to know at the moment for getting a basic clarity of the functioning. It will be better to make a list of all the things that Alexa cant do. They will take less time and effort on our part since lately it seems that Alexa is going to come to life anytime soon! The level of learning capability that is incorporated in it is extraordinary. Take a look at the most common tasks that we usually make Alexa do as we sit pretty on our ‘Iron Throne’! There is no limit to the variety of tasks that can be completed with this amazing innovation. Right from waking up in the morning to sleeping at the eleventh hour; almost all the big and small chores in between can easily be performed via Alexa. You can ask it to wake you up at the required time every day. Ask Alexa to wake with your favorite song. Or play the morning news if you’re used to it for quite some time. The smart light arrangement can also be altered accordingly with its help to make the entire waking up process all the more energizing. The home and its various segments such as the security, lighting, temperature control and several other important segments can easily be managed with the help of insightful Alexa. It has access to a wide range of skills too now. And that just makes this whole process all the more efficient for you on a daily basis. We all know that Amazon is one of the most popular shopping portals in the world. And Amazon Alexa has been smartly equipped to make the entire online shopping task a breeze for you. If you thought that shopping with Amazon was simple before then wait till you get a hold of this marvel. You can ask Alexa to note down all the important items on the grocery list and let it know how soon you want it to get delivered. Accordingly, it will suggest a wide range of options. And the menial tasks such as grocery shopping can be finished in no time. This way you will be able to use that time for important activities such as going out for a power walk. Or spending time with your near and dear one over the weekend. The third party apps also enable you to order pizza online and make other similar purchases without much trouble. There is always a lot more than what meets the eye. And that stands true in the case of Alexa too. 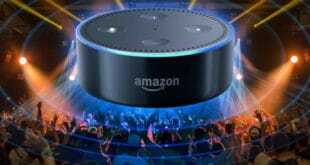 You will find that there are a lot of activities that are usually not advertised while explaining the applications of Alexa. And half of the people are not even aware of all the fun activities that they can partake in with it. You can ask Alexa to play games with you. It is great with the classics such as the ‘Rock, Paper, Scissor’, tricky puzzles and many other fun fact games that might just awaken your inner nerd. It can also tell you a lot about your topics of interest. Just start a conversation with it and see it flow, one byte at a time. You will find a lot of the online game shows being converted into an Alexa skill now and available for download. Few of them are ‘Jeopardy’, ‘Deal or No Deal’ and the ‘Scattergories’. Aside from this, you will find several other kinds of games too that will pique your interest sooner or later. It is good to have a smart app assisting you in your day-to-day health requirements. Both young and elderly can make good use of such apps. The emergency situations are tricky for more or less everyone. And that is why you can use the ‘Ask My Buddy’ skill on you Amazon Alexa setup. For this app to work, first of all, you need to make an account on their website since they do not have an official app as of yet. This skill is a bit different since it contacts only those people who actually want rescue you in times of emergency. And that is why you are able to save precious moments when every single second matter. It is totally free at present. You can enter the contact information of your friends and family. And you should also enter your personal information so that help can arrive at the earliest when in need. The various media forms that the Amazon Alexa is able to manage includes books, video, and music. And can control all the media libraries with its help. They don’t need to be the one that belongs to Amazon only. Though you need to log in first to the respective accounts and link them to your Amazon Alexa account. By default, you will find that your system is full of the Amazon recommendations. But that is just to give you a starting point. You can easily replace it with your personal favorites in no time. It is very easy to browse, find and play the media of your choice with the help of Alexa. When it comes to music you can easily switch from Amazon music to the music streaming app of your choice if you want to. You can search according to the genre and play the ones that belong to your current mood instantly. It is quite easy to play, save and even share the music with your friends and family via the latest skills. Now, you can just sync up your contact list and you will be able to make the call to anyone in your contact list without having to manually dial and call them. Just tell Alexa to call the certain person and talk to them for hours in this handsfree set. You can do the same with texting too and just say out loud what you want to be written in the text. Make Alexa read it back to you and send it to the desired recipient in no time. You can also use Alexa to answer back to calls and texts. Just ask Alexa to pick up the call or reply to the text, as the case may be. You can also communicate from one Alexa enabled a device to another. It is sort of an intercom facility. And it will let you ‘drop in’ on the chat and join in on the conversation. You can use this feature with your friends and family. It works both inside and outside your home. But make sure to give access to only friends and family for this purpose for added security reasons. Alexa is one of the most amazing virtual assistant present in the market at present. It is as good as they come but there is always room for improvement. And same is the case with Alexa. That is why you need to browse them before making any decision regarding their suitability to your home. They may or may not turn out to be deal-breakers for your household. Alexa is not dumb. But it is surely not the brightest artificial mind out there either. You will experience this if you have been using Siri, Google Now or the Cortana. It is great to perform the basic tasks with simple instructions. But as soon as the complexity level increases, you will find it fumbling. It will sometimes misunderstand your command if it is a bit off than the usual format. You will soon realize that it is not bad with the factual questions. This is because it just requires it to look up the basic details available online. But as soon as the question gets analytical, you will find it struggling. It will usually leave you with an unsatisfactory answer to your more evolved questions/commands. And that is when you will start looking for an alternative more intelligent virtual assistant that can assist you with more analytical tasks. Alexa is marketed to be a globally useful commodity. But its voice support can still use a lot of help in understanding different accents and dialects all over the globe. If you have a thick accent then you will find it hard to make it understand you on the first go. Also, there is only one language available and that id English with this device. Granted, most of the people today are familiar with the English language but a household product like this can be a lot useful if it can be used by old, young, English speakers and non-English speakers alike. The voice recognition still has a long way to go. You can use a voice training app to help it with your strong accents as much as it can. But you will not get the top-notch quality which you are used to with other virtual assistants until now. 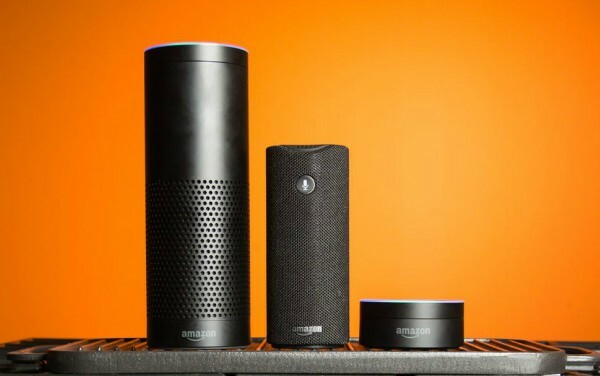 Since Alexa is voice controlled, you have to rely heavily on the Amazon Echo or another accompanying device. This means that you need the speakers that can pick up your voice and respond back with premium clarity. But, you will find the Amazon Alexa supported devices lacking in this department. They have surely improved a lot since the time they were launched but they still have a long way to go. If you have experienced the high-quality Bluetooth speakers such as the Sonos then you will surely find them a step lower than your expectations. The current setup of the Amazon Alexa is better for smaller homes. You can have one in almost every room if you can afford that. This way you can overcome the hindrance in quality with the help of multi-device playback. But still, it is a high price to pay for getting the usual quality. One of the best ways to customize the Amazon Alexa for your home is by making good use of the IFTTT technology. This is because it takes absolutely no programming effort on your part. And you can create your very own set of IFTTT recipes in no time. Basically, it works on the action and trigger method and anyone can implement it without investing much time and effort into it. The scope of all these apps is quite immense. You can find your lost phone, remind yourself to feed your goldfish or even search for the top 10 pranks of all time to play on someone you wickedly care about! 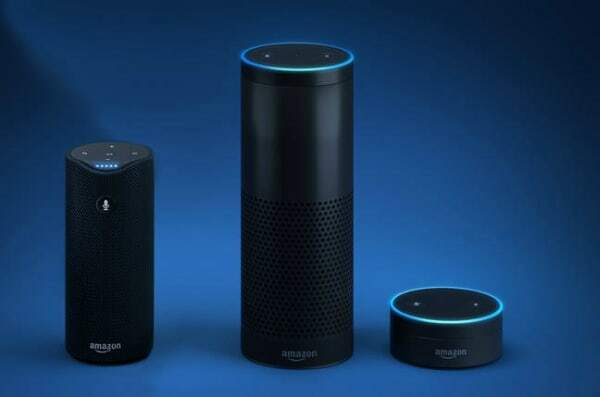 To begin with it, you will just need the Amazon Echo/another Alexa-enabled device, Smartphone, and the IFTTT app. 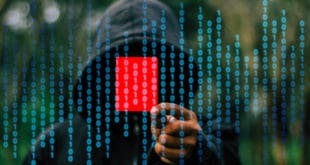 Firstly you need to make and log into the accounts of Alexa, IFTTT and the device you are planning to control. Now go to the service page of IFTTT and tap on the Alexa option. After this step, you will see many Alexa-specific applets on the IFTTT app interface. If you want o to activate them then you need to connect your Alexa account information with them. You just need to call out the specific commands mentioned there to Alexa. And they will get activated for your Alexa-enabled device. The instructions are mentioned in detail over there. 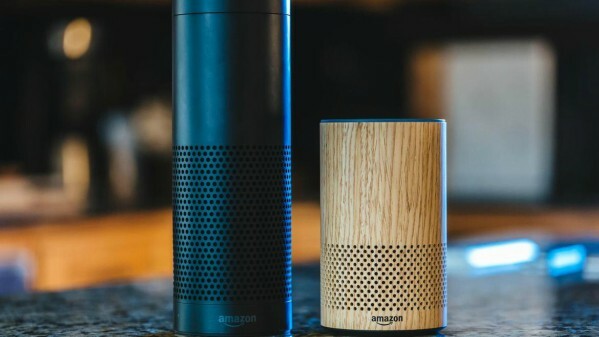 You will soon discover how much you were missing out on till now without employing the IFTTT recipes for your Alexa device. 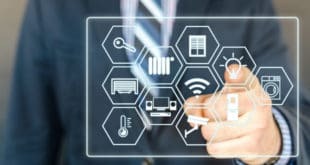 The vast number of applets available and the corresponding tasks that can be performed with their help is truly mind-boggling. But, you can always make your signature IFTTT recipe too and add that personalized touch to your Alexa setup. There is no jargon that you will have to power through for making this tiny dream of yours come true. It is more like going to a wishing well for more coins! You are guaranteed to get the desired result without much trouble. And if you like, you can also contribute to the library and leave a sort of legacy out there in the form of your very own IFTTT applet! Amazon Alexa has been in the news for all the right reasons since the time of its launch. So, it only makes sense to get one for yourself only after you have done sufficient research. If you are still not sure then just go through it again and let the information sink in a bit more. Do You use Amazon Alexa? Are you planning to buy it anytime soon or your heart is set on something totally different? Let us know what do you think about our review and the Alexa itself. Also, leave your comments regarding its performance if you have used it previously. And let us know how useful this post was to you.